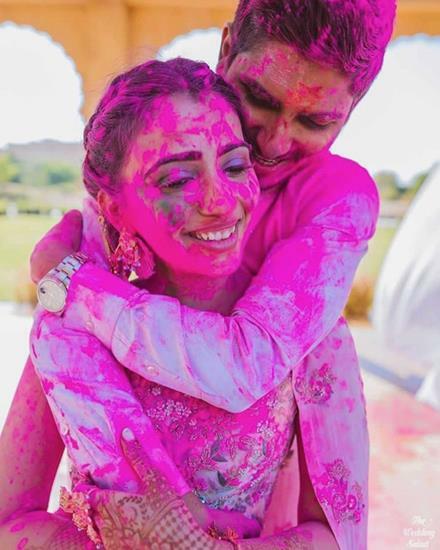 Home » Blog » Post Wedding Shoot on HOLI – 5 Holi Photos you MUST get for your 1st Holi together! Had a blast at your Pre-wedding shoot, and bummed out that it’s all over? Worry not, because the hottest new trend of POST wedding shoots is what we’ve got! This trend is picking up fast among the newlyweds and it’s here to stay, In fact, it’s basically couple goals in a fab way. So, as Holi is right around the corner, we thought why not combine the two. That way you get some amazing post wedding shoot worthy photos for you. 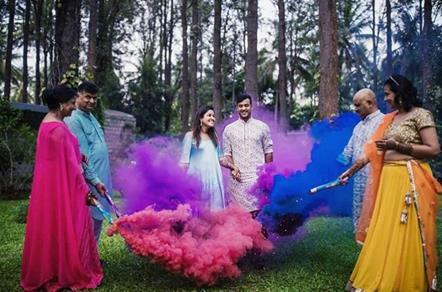 A perfect opportunity to celebrate your first holi together while capturing your moments for insta too. 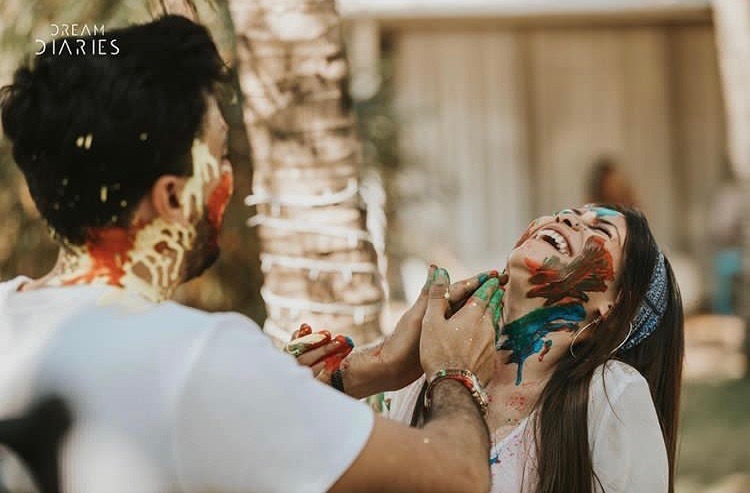 We shortlisted our top 5 photos that you NEED to get at your holi party to with your own DIY post wedding shoot that you can totally do! 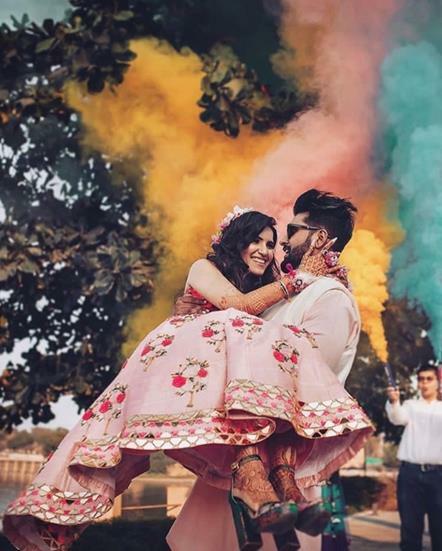 Turn your HOLI into a Post Wedding Shoot – Holi Photos You NEED with BAE For Your First Holi! Before you go crazy with all sorts of pakka colour on you, get a shot like this where BAE smears oodles of just a single colour on you! 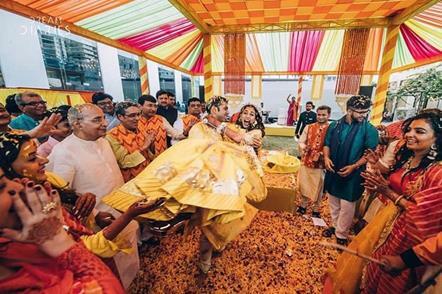 Get your friends by your side and make a fab entry just like you did as groom and bride! 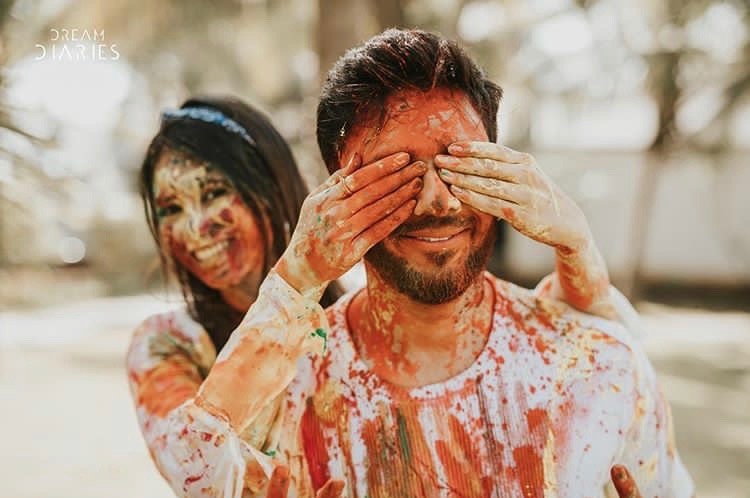 Absolutely one of our favourite holi shots is the one where bae carries you in his arms – be it out of sheer naughtiness or love – this pose has oodles of charm! Psst! 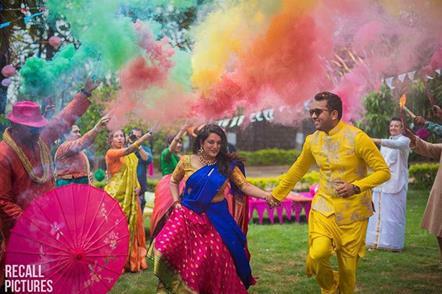 – for tips on how to nail a holi video instead head here!